We measure and model change in the structure, function and quality of our soil and land so we can better develop solutions to conserve and enhance these valuable natural assets. From croplands to deserts, from peatlands to rainforests, and from tundra to tropics, we explore the impacts of climate and land management so we can develop more sustainable management of soil and land for future generations. Exploitation and integration of technologies and modelling to assess the role of land use and climate change on soils, habitats and their interaction over time and space from local to national and global scales. To capture these changes exploiting the natural capital approach to understand the impact on social and economic benefits. Providing better understanding of the role of microbial diversity in underpinning soil functions, specifically the formation and persistence of soil carbon, and developing a new modular soil carbon model to support future land use decisions. To quantify the long term turnover and transport of carbon from organic soils, including transfers to atmosphere and oceans and impacts on water quality and explore more sustainable management options. To develop an integrated approach to the assessment of risk and opportunities to improve the sustainable management of coastal habitats to better integrate our land-sea capabilities. To develop whole system approaches to bioenergy systems in the UK and abroad considering social, economic, environmental and technological constraints. We monitor the state and change of the countryside using data to inform soil, land and water quality models from source to sea. We use a Natural Capital approach and other frameworks to format results for policy-makers. We study the impact of climate and land use change on soil processes, using experiments, field measurements and laboratory analysis. 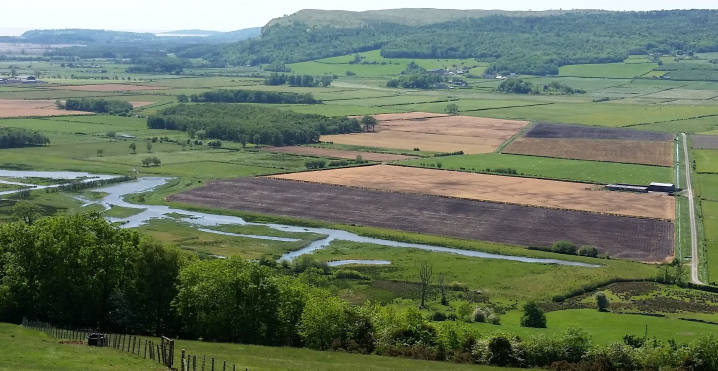 We develop and integrate our own and other models to predict the impact of environmental change on the soil, landscape and surface water continuum from local to national scale to address regional, national and industrial challenges. The Molecular Ecology group applies molecular tools to monitor change in the biodiversity and function of biotic communities in terrestrial and freshwater environments. We use state-of-the-art sequencing approaches to examine how natural and anthropogenic pressures impact the structure and function of biodiversity, from microbes to vertebrates. We are particularly interested in quantifying normal operating ranges for biodiversity across different habitats, and identifying novel bioindicators through long-term and national-scale integrated monitoring. In addition, we conduct fundamental research to establish the relevance of microbial diversity in ecosystem functioning. Our Land Use group monitors and models the extent and condition of natural capital at landscape scales, tracking, attributing and identifying the causes of change. We analyse and model interactions between different ecosystem components over time and space (land use, vegetation, habitats, landscape features, soil, water). We link natural capital to the delivery of ecosystem goods and benefits through to the development of metrics. Our work on understanding the social and ecological components of ecosystems effects their improved management and sustainability. Our research covers a wide scope of issues relevant at multiple scales. We study the storage, transport and fate of carbon from soils into the atmosphere and into freshwaters and marine systems. We investigate impacts of air pollutants, including ozone and nitrogen, on natural and agricultural systems through state-of-the-art experimental facilities and modelling approaches, and we coordinate national and international networks on these topics. We develop improved frameworks and models to understand how natural capital and ecosystem services provide benefits to wider society. The focus of our research is on the impacts of global change and land use on terrestrial ecosystem properties and functions. Our research spans highly managed ecosystems crucial for food/fuel production, to biodiversity hotspots including tropical rainforests. Central to our work is developing a mechanistic understanding of ecosystem GHG and carbon dynamics, linkages to microbial communities and responses to change through laboratory and field experimentation. In collaboration, we apply such knowledge to a range of modelling frameworks to understand and predict wider trade-offs in land management decisions at the landscape scale. Our long-term climate change manipulation site is an upland heath. We study the effects of climate change within this typical upland ecosystem. Scientists can explore the link between above and below-ground diversity, and the resistance of communities to climate change. The site is also ideal for researchers investigating soil carbon dynamics, soil hydraulics and the impact of microbial communities on these processes. The Plynlimon catchments in central Wales are among the most important intensively studied long-term research basins in the UK. Plynlimon is among the key European and world sites in terms of catchment science - not just for the length of the records gathered (40 years and counting) but crucially because of the breadth of measurements, spanning hydrology and including water chemistry, groundwater studies, geomorphology, ecology and atmospheric science. See here for more information. We operate GHG flux trailers that provide intensive monitoring of CO2 and N2O at research sites using closed path analysis methods. The system has an integrated meteorological station and soil measurement system for temperature and moisture using digital sensors and COSMOS. We have developed a suite of real-time Picarro/LGR greenhouse gas analysers with additional stable isotopic capability (δ13C in CH4 and CO2; δ15N, δ15Nα, δ15Nβ, δ18O in N2O) for natural abundance and tracer experiments. These instruments can be used as stand-alone in the field, integrated into automated roving GHG chambers (York-Skyline2D) or placed in-line to our seven constant temperature room facilities. Our work is supported by climate sensor technology, elemental analysers (C, 13C, N); enzyme microplate readers (assays) and gas chromatography for greenhouse gas and microbial phospholipid biomarker analyses.